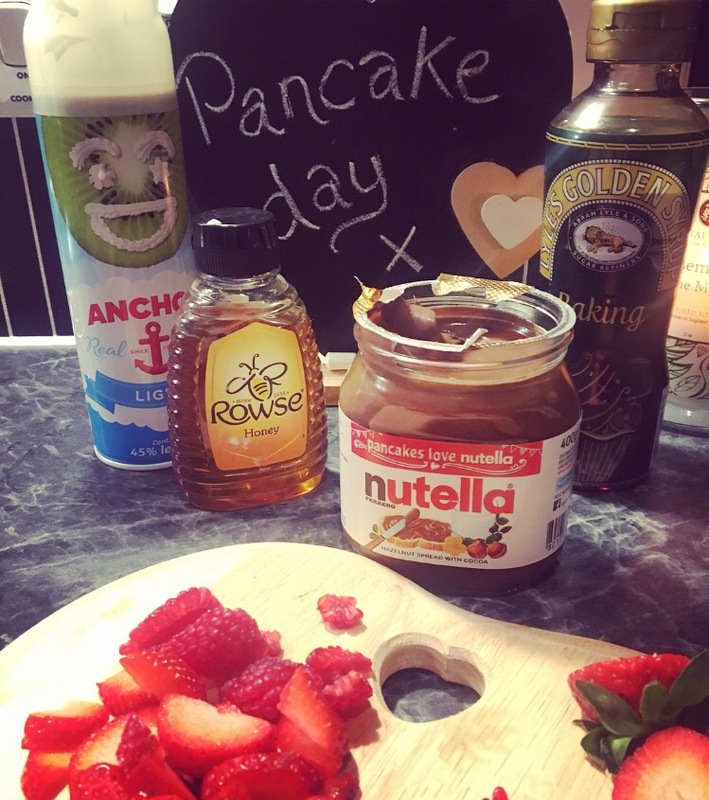 The last day of the month for February this year was the famous ‘Pancake Day’ How many of you were in the kitchen flipping away? I love pancakes and could eat them everyday! They are quick, easy and fun. I love the way you can be creative and add multiple toppings, creating new flavours. Some people like their pancakes sweet and some savoury…what do you prefer? I have a very sweet tooth so that is the perfect style pancake for me! The Wednesday after is known as Ash Wednesday…It marks the start of Lent, where people over the globe give up certain foods or habits to improve their health or demonstrate self-restraint. It is 47 days before Easter Sunday. Its the day before Lent, Shrove Tuesday is the perfect time to get rid of any last minute indulgences, before fasting for 40 days. 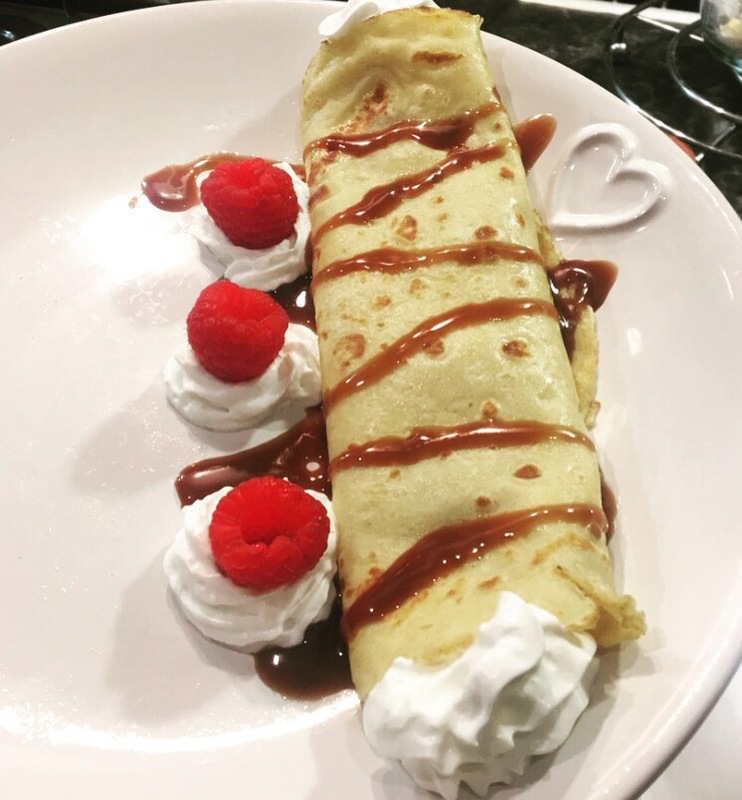 Most of us just like to jump on the band wagon and celebrate the fun of having an excuse to eat as many pancakes for breakfast, lunch and dinner! Who’s going to judge? I decided to fill my pancake with whipped cream and raspberries. Roll it up and add more raspberries, cream and chocolate sauce! Mmmmm, it was scrumptious! My other half decided he wanted to decorate his own pancake. 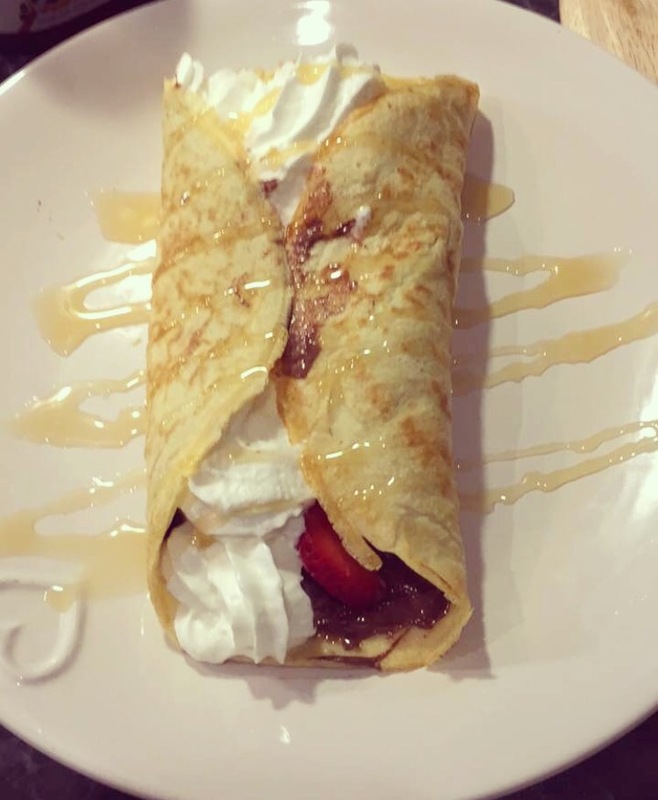 (personally I don’t think it looks as good as mine) he decided to smother his with Nutella strawberries and whipped cream. Wrap it up and drizzle honey over it.